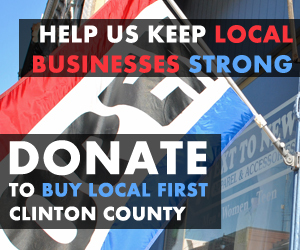 Thank you for helping us better understand the effectiveness of Buy Local First's messaging and branding strategies. Below, you will find a selection of outreach materials that we have used for both consumers and business owners. Please click the link to view each item, and then provide your feedback. 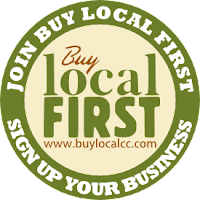 If you have any questions, please don't hesitate to let us know at info@buylocalcc.com. This experimental poster series was developed for the Chamber Business Expo in early March. It was an experiment in using image focused messaging, instead of text focused messaging. It also sought to draw a connection with the CCVB's "A Great Place to Call Home" campaign.